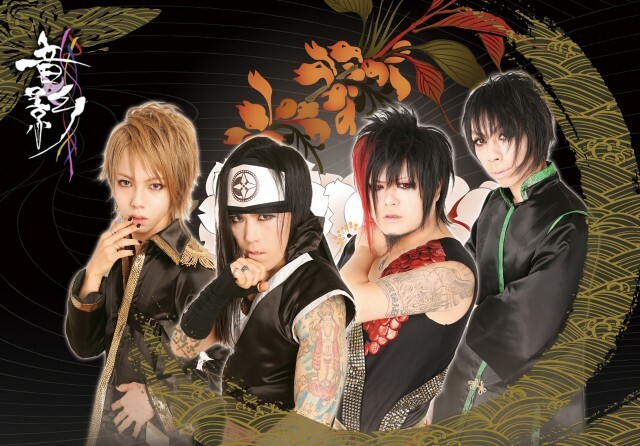 OTOKAGE describe themselves as a group of ninjas from another dimension whose aim is to fight the corruption of their country “Shinobi no sato” using the skills of ninjas. They travel the world in search of friends who also have ninja talents and who can be trained in ninpo (the way of the ninja) and the magic of music. With them OTOKAGEcan create an army to bring justice to their country. Musically, OTOKAGE offers us a mixture between J-rock and visual kei, perfectly juggling both traditional Japanese culture and modern music.